AFB Set, Kinyoun, Methylene Blue Counterstain | Polysciences, Inc.
AFB Kit (Kinyoun Method). Used to detect acid-fast microorganisms, specifically mycobacterium. 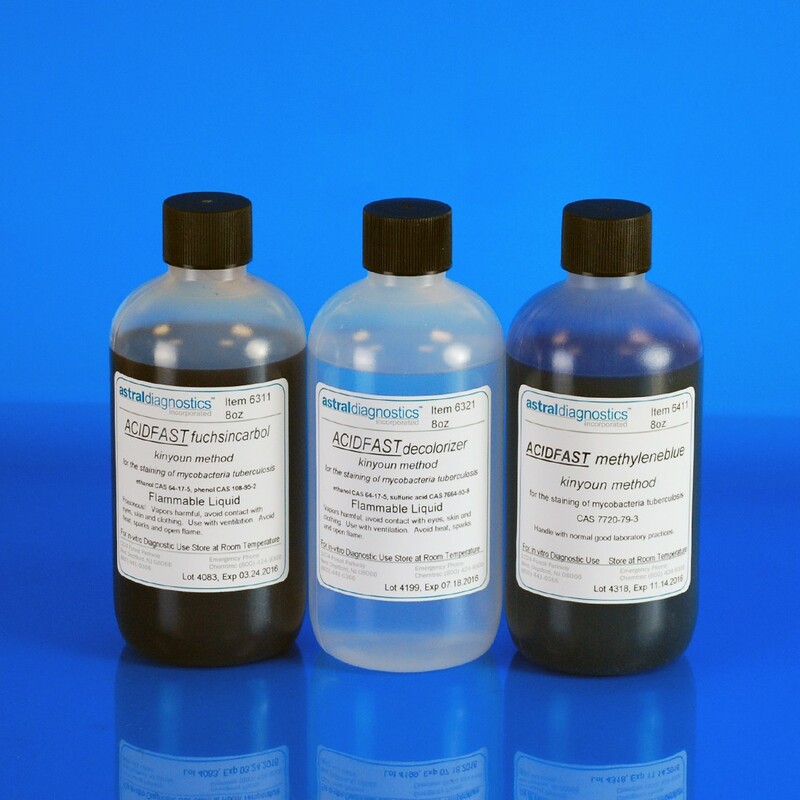 Set contains 8oz bottle of each: Carbol fuchsin, Decolorizer, and Methylene Blue Counterstain. FDA approved for in vitro diagnostic use.